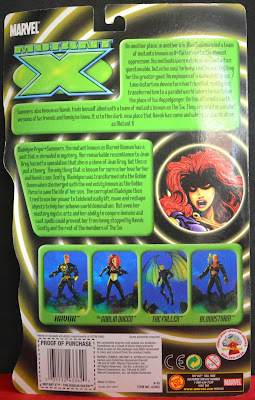 She's Fantastic: Mutant X - The GOBLIN QUEEN! 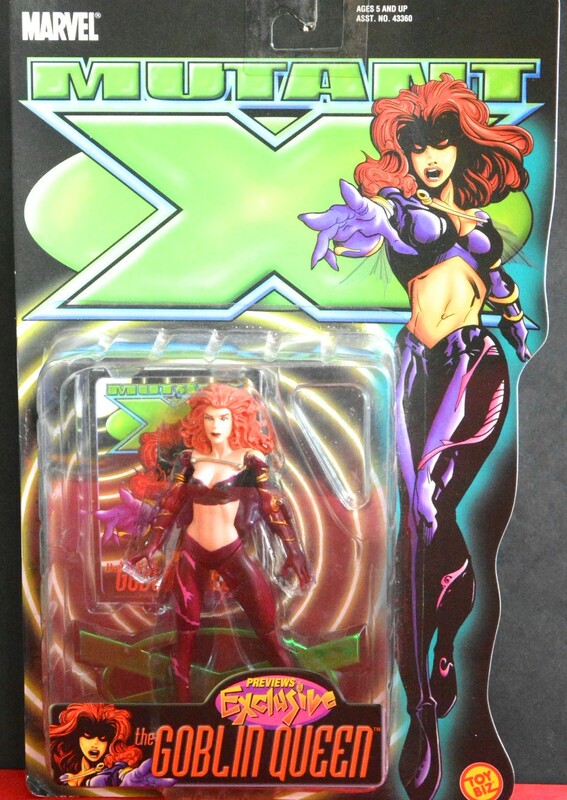 This Figure of Madelyne Pryor as the Goblin Queen is from an alternate reality established in 1998's Mutant X comic series. These stories are very similar to those starring the Crime Syndicate in the DC Universe. Havok has swapped realities with his doppelganger. In this reality, all the heroes are darker (but still heroic) and there's a definite demonic slant to everything. Storm is now Bloodstorm, Angel is now The Fallen, etc etc. 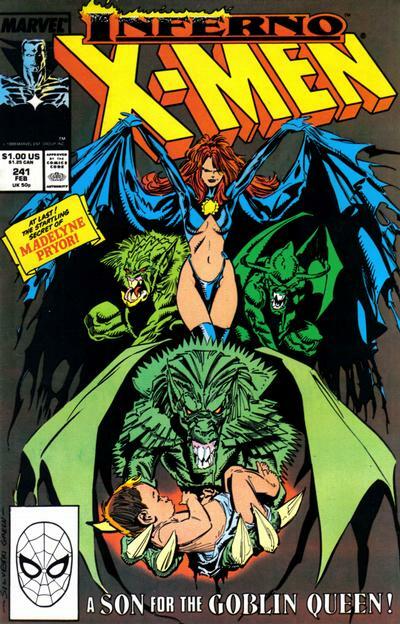 Madelyne Pryor is still herself and still the Goblin Queen, but she kind of fills the parallel role of Jean in this reality's X-Men team. In the comic, she also went by the name Marvel Woman (a clear nod to Jean's Marvel Girl days). Also, I see this mentioned online often (but never in the comic themselves), but her name may have been spelled "Goblyn" in this reality. Anyway, enough backstory, let's check out this toy! She is a very pre-posed figure, but the overall positioning is good. She can't really stand without her figure stand (which is a metallic green in person, but it doesn't show up that way in the photos). This figure has the standard stiff articulation of all 1990's ToyBiz figures. Ten points of articulation in total, but the pre-posed hands-down look is the only position that looks right. 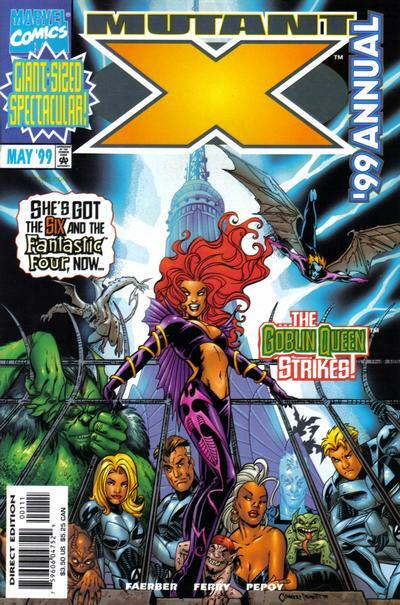 Here are an assortment of Goblin Queen images from the comics. 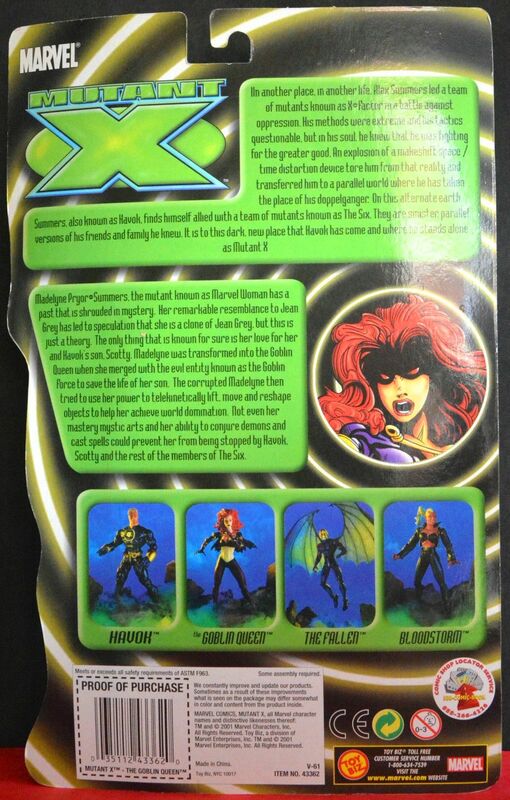 Yeah ToyBiz was interesting the way they would re-use molds but make them unique. 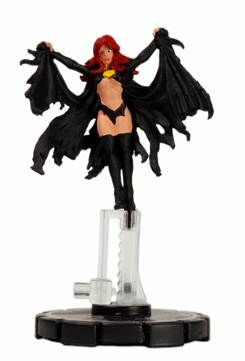 I'm glad there wasn't a waist swivel like on Snowbird because it would really look bad on this figure.